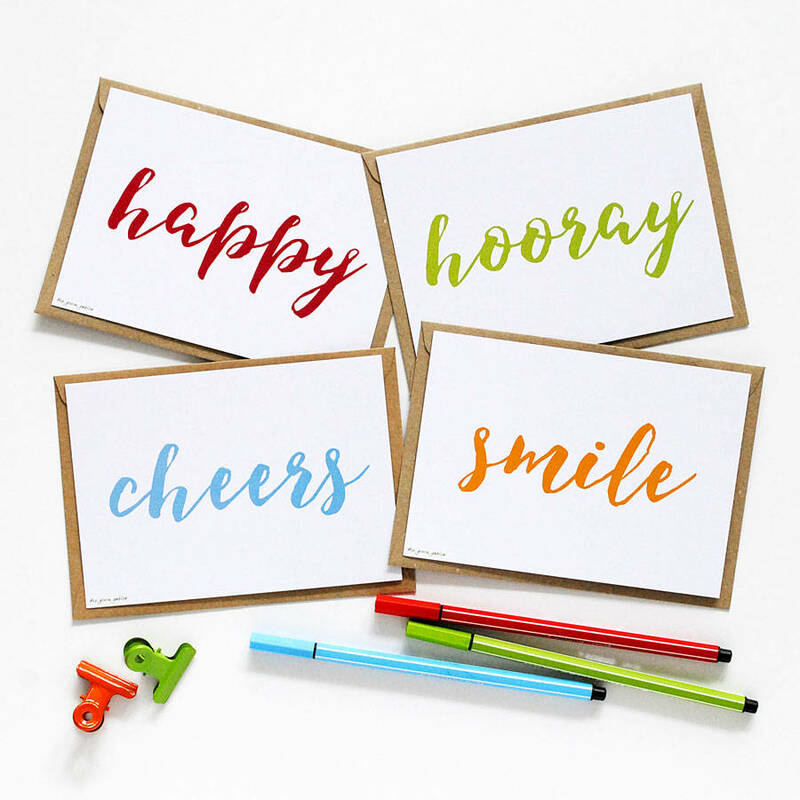 Send a friend some love with this happy calligraphy happy postcard set. The postcards and kraft envelopes are made with recycled card/paper in the UK. The A6 postcards measure 10x15cm approx.